Alternatively, if you are unable to register online, please contact the London School of Ultrasound Secretariat (contact@lsus.co.uk) for a hard copy registration form. For group registration enquiries, please contact the School Secretariat (contact@lsus.co.uk) for assistance. If you require a visa to enter the United Kingdom, the invitation letter will be issued after the successful registration. Invitation letters shall only be issued to those delegates who have completed their registration process and paid their fees in full. Please note that it is the delegates’ responsibility to assert their visa status, and ensure that they apply sufficiently early. Please note that a letter of invitation should not be considered as an official invitation covering fees and other expenses. Letter of invitation can ONLY be issued to delegates attending the Course; not accompanying persons. To provide you with a visa support letter we will need your full name as it appears on your passport, your date of birth and your passport number. Your name must be listed exactly as it appears on your passport. Any differences between the name on your passport and the name on your invitation letter or other documentation could lead to a delay and/or denial of your visa. Please note London School of Ultrasound and the organizing venue of the course are not authorized to assist with the VISA process beyond providing the Notification of Invitation Letter issued by LSUS. Should your application be denied, LSUS cannot change the decision of the Ministry of Foreign Affairs, nor will LSUS engage in discussion or correspondence with the MOFA or the Embassy on behalf of the applicant. Please note that we cannot enter into correspondence with the UK Authorities on your behalf and any invitation letter does not imply any financial liability on our part. The registration fee cannot be refunded when the VISA application of individual being denied. It takes time for the Embassy to process the VISA application, please register as early as you can to make sure you have enough time. Check with your local embassy what sorts of documents are necessary in your specific case, as this may differ between delegates from a same country. For more information on visa requirements, please visit the website of the UK Visas & Immigration. Please keep in mind that a visa application may take some time to be processed. Apply for the visa early on to ensure its approval before the course begins. Check the guide processing times to find out how long getting a visa might take in the country you’re applying from. Cancellations can be made in written form only. Refunds can be made up to 30 days prior to the course starting date and the original registration fee will be returned less the administration fee**. All refund requests must be sent by email to the London School of Ultrasound (contact@lsus.co.uk). Please note that telephone requests will not be accepted. It is the responsibility of the delegate to ensure that the LSUS Secretariat has received the written cancellation. In the unlikely event the Course is cancelled by the LSUS, we regret we are unable to refund any delegate travel and/or accommodation costs that have already been incurred by the delegate, or any administration charges relating to cancellation of travel tickets and/or accommodation. Any cancellations after this date or no-shows at the event are not eligible for a refund and the full fee in accordance to the registration invoice or confirmation will be due. **An administration cancellation fee of £25.00 will apply. Registered participants’ visa application before their arrival into UK. Personal accidents, loss or damage of private properties of the registered participants during LSUS Courses. Participants are responsible to make their own arrangements with regards to personal insurance. 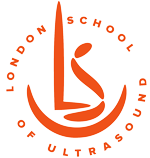 Whilst every attempt will be made to ensure that all aspects of the Event mentioned on the website will take place as scheduled, The London School of Ultrasound (LSUS) and the Course Secretariat reserve the right to make changes should the need arise.